These days our society is so fast-paced and sin-centered that children are growing “street smart” faster than ever. Never before has it been more urgent for the Gospel of our Lord Jesus Christ to be sown into these young hearts through solid counsel and sound teaching. This is what Camp Del-Haven is all about. 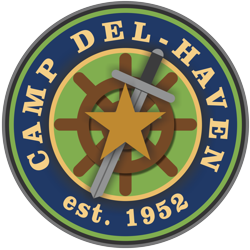 For over 65 years, Camp Del-Haven has provided a week of Christ-centered and Bible-focused summer camp for children in needy families. Today our ministry is focused on offering this camp experience to boys and girls, between the ages of 6 and 12, whose lives have been marred by crime and poverty. Each year we are pleased to invite dozens of underprivileged kids from around the Kansas City metro area (and beyond) in the hopes of turning them from a lifestyle of crime to a life with Christ. Would you like to help us bring a kid to camp? Del-Haven is a state and federally recognized charitable organization and all donations are tax-deductible. Donations by check may be made to the address below, or contact us through our online contact form to make alternative arrangements for payment.